Google knows how to market and publicize their products and no exception in their new product Google Chrome Browser also. Previously from the very beginning of the lunch of this product google has been promoting through many of its social networking sites and partners including Orkut, Youtube etc. Take a look at the image below. 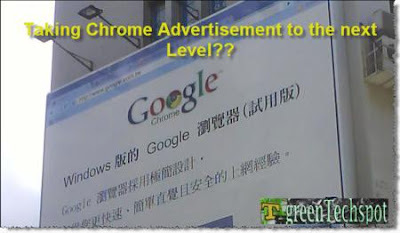 We have also been seeing Advertisement of Google Chrome on many web site through Google Adsense. But this time google has came up with a different and obviously effective approach to market their product — Promote their Product through 11 Featured Youtube Videos. The Videos do not directly attacks their competitors like Firefox, Safari, Opera etc but their motivation is to “Simply let people know why should they choose Google chrome“. Have a look at this Video. I found this really simplistic as well as enjoyable. At this point if you are thinking that Google is going to put loads of money behind this project then you are wrong [Well I thought of that too]. According to a person who bid on the project budget for chrome is about $10,000 which is quite cheap compared to the money spent behind other Google projects. So what do you think about this? Do you use chrome? Or still use IE or use The power Browser Firefox. And what you think about the new marketing policy of Google. Personally I have really liked it! Also let us know your points of views. Windows 7 ~ The next Microsoft OS candidate to get released by October 2009?